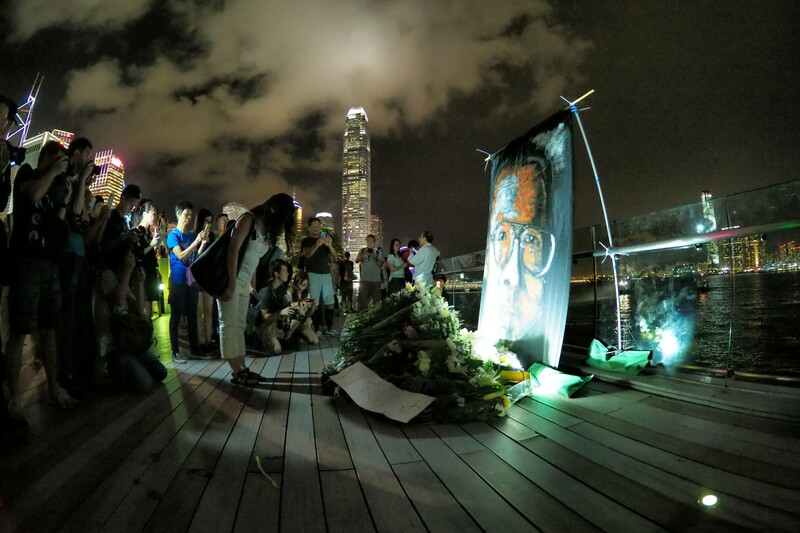 What can we learn about China’s so-called soft power from the way the government behaved after the death of Nobel Laureate, Liu Xiaobo? An awful lot, it seems. First, we know that soft power is not zero sum, and that China exercises soft power on some issues or in some sectors, and none in others. I have previously suggested that China’s response to President Trump’s decision to withdraw from the Paris Climate Change Agreement demonstrated its growing soft power. While in hindsight my conclusions were perhaps a little exaggerated, on this particular issue, China did communicate a far more compelling soft power narrative than the US. The juxtaposition of these two soft power events demonstrates just how complex international politics is. It can be approached and managed from multiple angles depending on whose voice is heard and what objectives are pursued. The idea that you either have soft power or you don’t is plainly absurd. Second, the Liu Xiaobo case confirms that soft power does not reside in cultural voices: it does not matter to China’s soft power how many versions of CGTN are broadcasting across the world, or how many Confucius Institutes are teaching Mandarin. Soft power derives from the way governments behave at home and abroad, how they treat their citizens, the most vulnerable in society, the levels of accountability and transparency in the political system, the inclusiveness of the political culture, which countries we regard as our allies. It also derives from how politics deals with criticism from both internal and external sources. Clearly from this list, China under Xi Jinping has a long way to go. New laws on national security, to counter terrorism and cyber threats, add to the already broad and often vague category of criminal offences, hitting campaigning NGOs the hardest. Suffering from terminal liver cancer Liu Xiaobo was one such vulnerable member of Chinese society. The government refused his and his family’s requests that he be allowed to seek treatment abroad. Guards surrounded his hospital ward, and censors scrubbed from the Internet any expression of popular sympathy for him. In the moment that China’s Foreign Ministry spokesman said that Liu Xiaobo is ‘China’s internal affair’, and that ‘No country has the right to interfere’, China’s soft power capacity was called into question. The Chinese government’s refusal to countenance any external criticism, preferring instead to retreat into a nationalist mind-set that rejects voices of disapproval clearly undermines China’s ambition to be a major and credible world power. If a state wishes to be a global player – and to be seen and accepted as such – it must expect and accept criticism. The third lesson about soft power is that it will always be trumped by hard power and perceptions of the national (especially economic) interest. Despite claims of its commitment to human rights, for example, the UK’s Conservative government continues to sell arms to Saudi Arabia. Baroness Sayeeda Warsi has suggested the Foreign and Commonwealth Office (FCO) ‘blind test’ countries ‘against our stated values and principles. Many a current foreign ally, friend and special relationship,’ she speculates, ‘would fail such scrutiny.’ In The Enemy Within, Warsi contends that claims of commitment to an ethical foreign policy by successive UK governments since 1997 ring hollow. From the Iraq war to Libya, Syria and Saudi Arabia, actions have not matched official rhetoric, and this damages the UK’s soft power. One should also add China to this list. While the leaders of the G20, including Xi Jinping, met in Germany for their annual meeting, they did not raise Liu Xiaobo’s case. Official responses from across the political world to the Chinese government’s treatment of its Nobel Laureate were tepid to say the least. As we know, governments too often brush human rights under the carpet when dealing with China, fearing harsh retribution will follow. But speaking out is important to challenge the idea that jailing dissidents and critics is acceptable. Silence reinforces the normality of the Chinese regime’s behaviour, and undermines the work and sacrifice undertaken by human rights activists. It also lends credibility to the idea that there are no such things as universal principles, that each state is free to treat its own citizens exactly how it wishes and other states should simply mind their own business. While China’s soft power is undermined by its treatment of such citizens as Liu Xiaobo and his family, the muted reaction of western governments is also a sad reflection of their faltering soft power capacities. The implications are clear and they are simple: no amount of presentation or spin will change opinion about misjudged, unethical, or poorly designed policies crafted and executed by governments in the national or international arena. The generation of soft power is a by-product of how governments behave, not an end in itself. Governments should focus on governing (and not on soft power) and do so in an ethical and transparent way in the best interest of all at home and abroad. This means that, to generate and exercise soft power – a genuine stock of soft power that does not depend on culture, Confucius Institutes or CGTN – the Chinese government should plan and execute policy with a greater appreciation of a global audience that is watching and evaluating its behaviour. But then why should the leopard in Beijing change its spots when it knows that other governments care so little about its behaviour and how its treats its most credible soft power assets, like Liu Xiaobo, and that economic interests will always be more important than human rights and democracy? China has no incentive to change, and so its soft power capacity will remain limited and weak. Gary D. Rawnsley is Professor of Public Diplomacy in the Department of International Politics, Aberystwyth University. He is also a Non-Resident Senior Fellow at CPI. Working at the intersection of international communications and international relations, Professor Rawnsley’s latest publications include The Routledge Handbook of Soft Power (edited with Naren Chitty, Craig Hayden and Li Ji, 2016); Taiwan Cinema: International Reception and Social Change (ed. with Kuei-fen Chiu and Ming-Yeh Rawnsley, 2017); and ‘Soft Power Rich, Public Diplomacy Poor: An Assessment of Taiwan’s External Communications’, in The China Quarterly (December 2017). He is currently writing a book on the UK’s soft power post-Brexit. Image Credit: CC by Etan Liam/Flickr. The Pan-Malaysian Islamic Party: Where Next?